All the website owners in the world are more conscious about their website ranking and traffic. They try many things to achieve their targets. But if making a website in WordPress then you need not worry about anything as WordPress comes with some great SEO Plugins with features that can really help to get best SEO results. Spending time in implementing On-Page SEO and getting bothered about the coding part is no longer required. It also saves you a lot of money that you spend on an SEO company. There are many SEO Plugins in WordPress that can help us to achieve our target ranking but here we are discussing mainly 3 WordPress Plugins that are vital for SEO: All in ONE SEO, Yoast WordPress SEO, and Meta Tags Optimization. All these 3 Plugins are used for a similar purpose but there are some differences in their usage. Yoast WordPress Plugin is one of the most popular SEO Plugins used in WordPress. It comes with many significant features that can increase your website’s visibility on the internet. Given below are some of the features that make it exceptional. Using the snippet preview shows the way your post or page will look in the search result. Here you can find out whether the title and meta descriptions are according to SEO parameters like size and other important things. Linkdex Page Analysis functionality check simple things, which we forget to bound like whether we have an alt tag containing the focus keyword for that post. It also checks the length of a post too. This Plugin makes sure that your content is the type of content that search engines love! By using Meta & Link Elements feature you can control which pages Google shows in its search results and which pages it doesn’t show. By default, it will tell search engines to index all of our pages, including category and tag archives, and show only the home pages in the search results. Yoast WordPress SEO has the most advanced XML Sitemaps functionality than any other WordPress Plugin. Once we check the Check this box to enable XML sitemap functionality, it automatically creates XML sitemaps and notifies Google & Bing of the sitemaps’ existence. There is an option by which we can also notify the search engines of Yahoo and Ask.com. By RSS Optimization you notify the search engine about website’s fresh updates. This way, the WordPress SEO Plugin increases the chance of ranking. As social media plays an important role in SEO, Yoast WordPress SEO helps to get linked with social networks like Facebook, Google+, and Twitter accounts to get the best results. 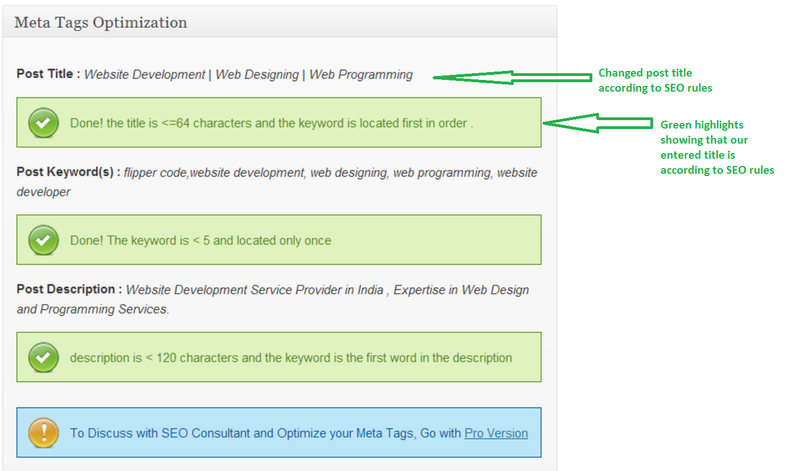 On clicking, Titles and Metas button from SEO menu will give the following options. Clicking on General Button will open a flap from where you can make some General settings using the settings check boxes. 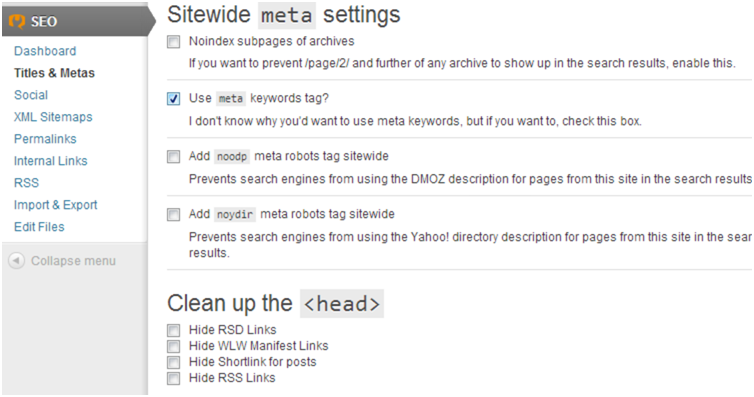 Check the meta keywords tag check box to add meta keywords to posts and pages from these check boxes. It is recommended not to change other options. By using this option you can add title and meta description for the home page. It enables to create a static title, description, and keywords for the home page of the WordPress website. For posts, the title varies from one post to another. 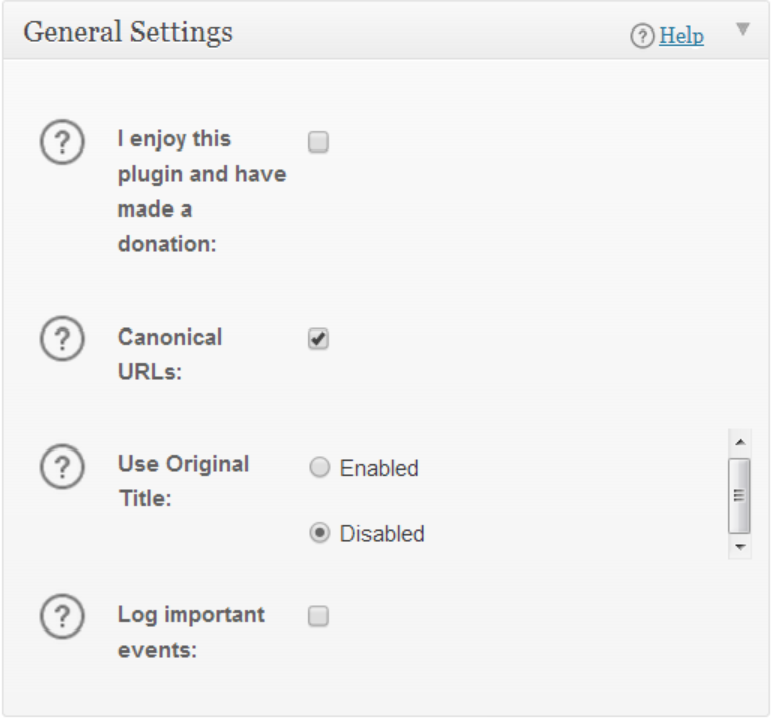 Take a look at the screenshot below for showing the home page settings. Once you fill all the title and meta description fields, don’t forget to click on the Save changes button. 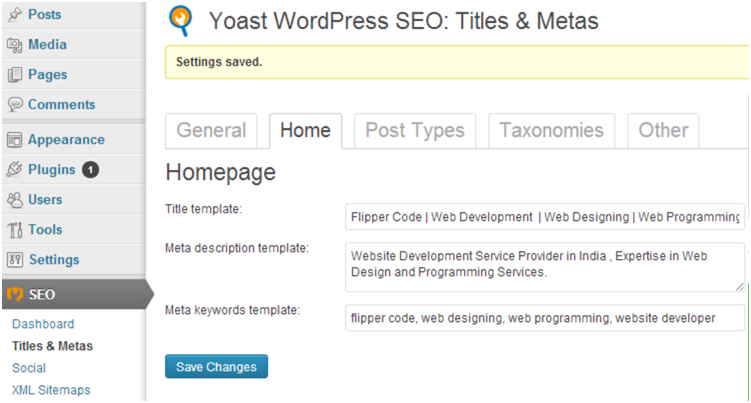 Opening ‘inspect element’ view for your WordPress website will show the title and meta tags added in the HTML. WordPress SEO allows setting titles and meta descriptions for posts, pages, and media. 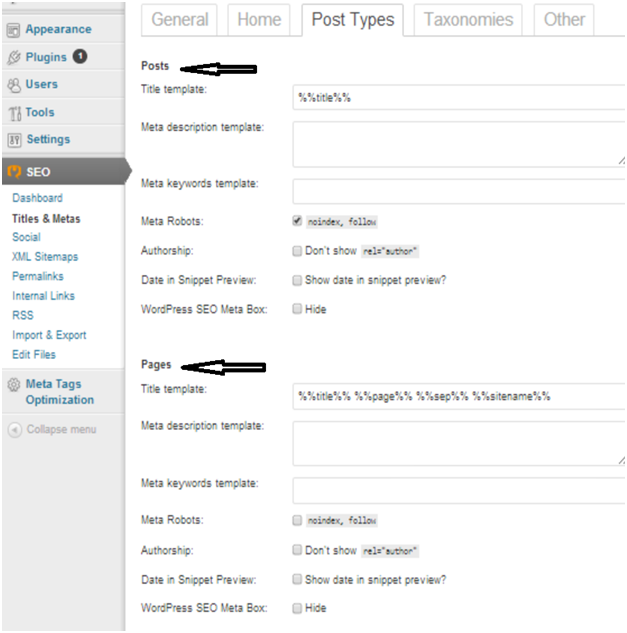 If the description and other fields are left blank for the post then WordPress SEO automatically fills this with title variable. We recommend changing the title templates to keep only the actual title element and remove the site name. This tab allows you to add titles and meta tags for categories, tags, custom taxonomies and post format. Default template variables should work for most sites. As for descriptions, please remember that WordPress SEO picks up descriptions from categories and tags. If you do not have any description for terms in categories, tags, and for the format, then Yoast WordPress SEO does not add meta description in archives for these terms, so you can leave them blank. Further, this tab has title template tag and meta template settings for author archives, date archives and special pages such as search and 404 pages. We recommend disabling author archives for single author blogs. If you run a single author blog, then the main blog and author archives will contain exactly the same content. This setting prevents duplicate content. Leave other settings as they are and save changes. Sitemaps are necessary for WordPress websites. They are the quickest and best way to inform search engines about any updated content. Sitemaps also tell search engines about how to give priority to content. 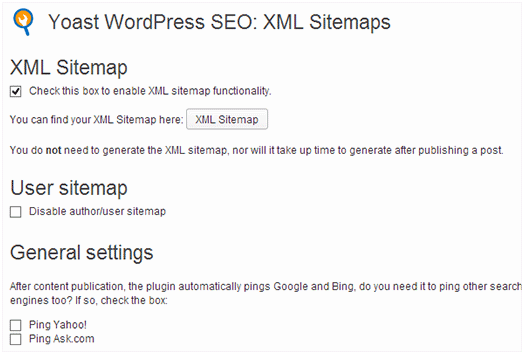 WordPress SEO by Yoast makes it very easy to add XML sitemaps in WordPress. First of all, check the box next to ‘Check this box to enable XML sitemap functionality’. The disable author/user sitemap option is used to automatically notify Google and Bing however you can enable to ping Yahoo and Ask.com. 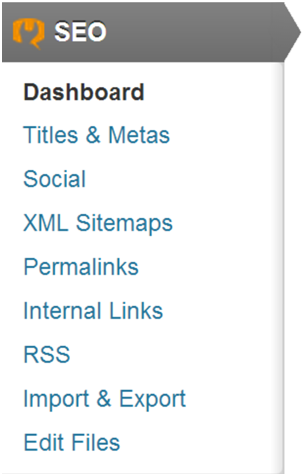 Lastly, you can exclude any post types or taxonomies that you do not want to appear in the sitemaps. It offers XML sitemap support. Now you do not need to install any extra Plugins for XML sitemap, All in ONE SEO comes with this features and submits your sitemap to Google and Bing. All in ONE SEO is the only Plugins that provide SEO integration for wp e-commerce sites. It automatically generates and optimizes title and meta tags for Google and other search engines. It is very easy to use and learn for the beginners. It avoids duplicate content from the WordPress blogs. It is compatible with other Plugins like Meta Keyword Optimization Plugin etc. In general settings section, you do not need to do anything as canonical URLs is checked and use original title is disabled by default. With the help of home page settings, you can add desired title and meta descriptions to your website. Here I have given an example that how you can add data to the home page title and meta descriptions. So now adding of any HTML code to WordPress website is not required, All in ONE SEO automatically add these tags to pages. 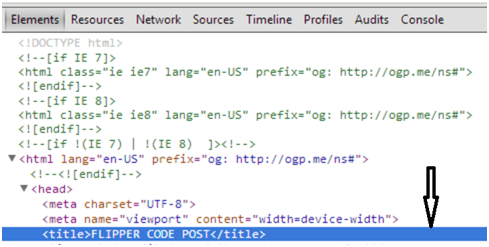 Open the ‘inspect element’ view for your website to see the title and meta tags automatically inserted in the HTML. 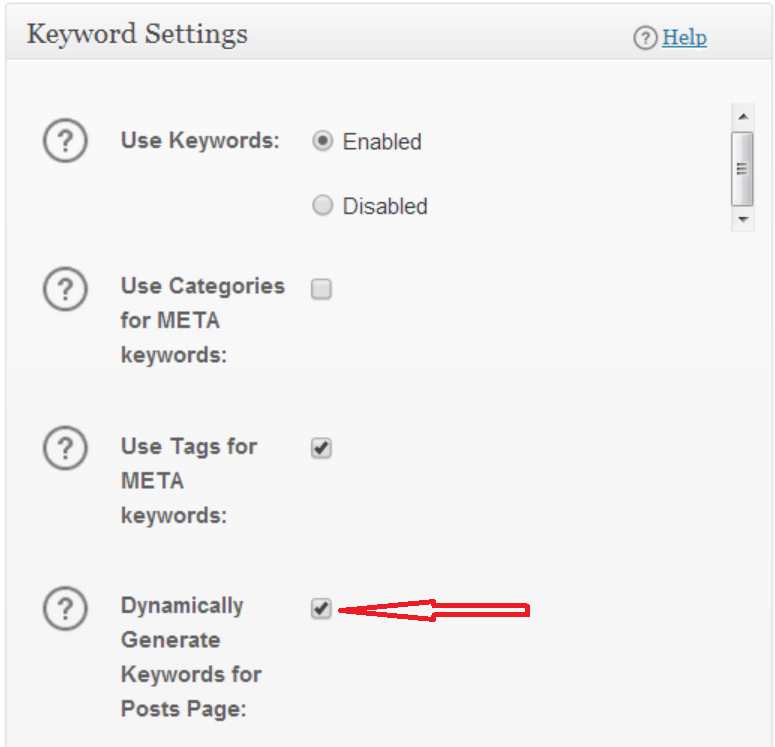 This section is used to specify how you want to handle meta keywords for the posts and pages of your blog. Enable the use keyword option to add keywords. 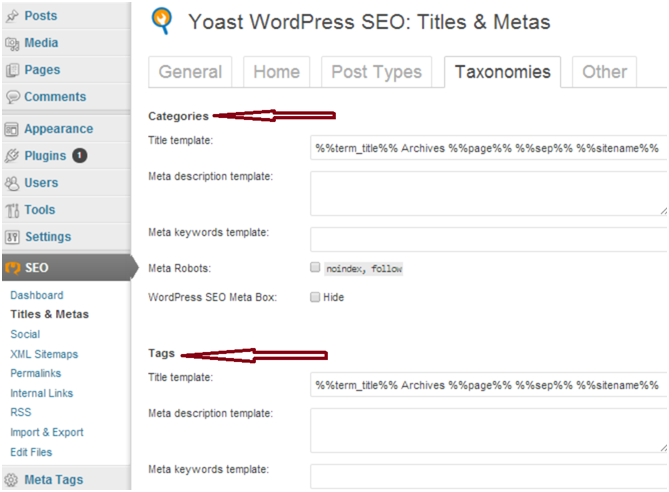 The plugin also allows to automatically use tags and/or categories as keywords. The last option in this section is applicable only if you use a static homepage on your website and a separate page to display blog posts. We suggest unchecking dynamically generate keywords for posts settings and manually add keywords to each page to prevent All in ONE SEO from generating a list of keywords dynamically depending on posts appearing on the posts page. 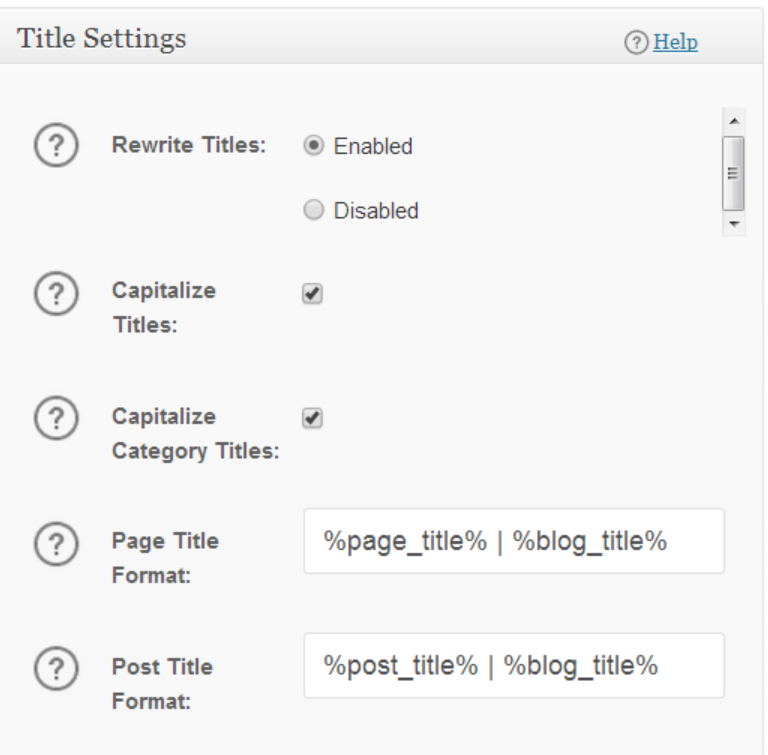 Title settings allow us to set the default title templates for every page generated by WordPress. This could be a single post, main page, archives, tags, or category pages. Each page generated by WordPress has a <title> set within the WordPress theme files. The first option, Rewrite Titles allows All in ONE SEO to rewrite titles. By default, it is enabled to override any theme settings. We recommend leaving this setting as such because in general, themes should not add SEO options and leave this to plugins that specialize in SEO. You can also modify how page titles on single, archive and other pages appear by changing the predefined tags used for different page titles. This option must be kept unaltered for optimal results. The only thing to be changed is our page title format if you are creating a lot of landing pages. Remove the | %blog_title% part from format to display the entire page title in search neglecting the 60 character limit. Since submitting XML sitemaps to search engines is a vital part of SEO because it automatically submits website’s XML sitemap to important search engines such as Google and Bing. 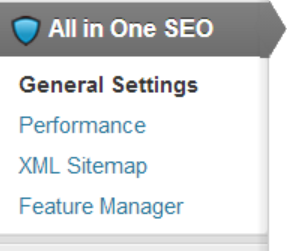 Given below are the XML Sitemap settings screenshot that can help you to do the desired settings. File name Prefix: This option is used for changing the name of the XML file. By default, the name is a sitemap. Notify Google and Bing: Checking this option helps to notify Google and Bing while updating a post or page. 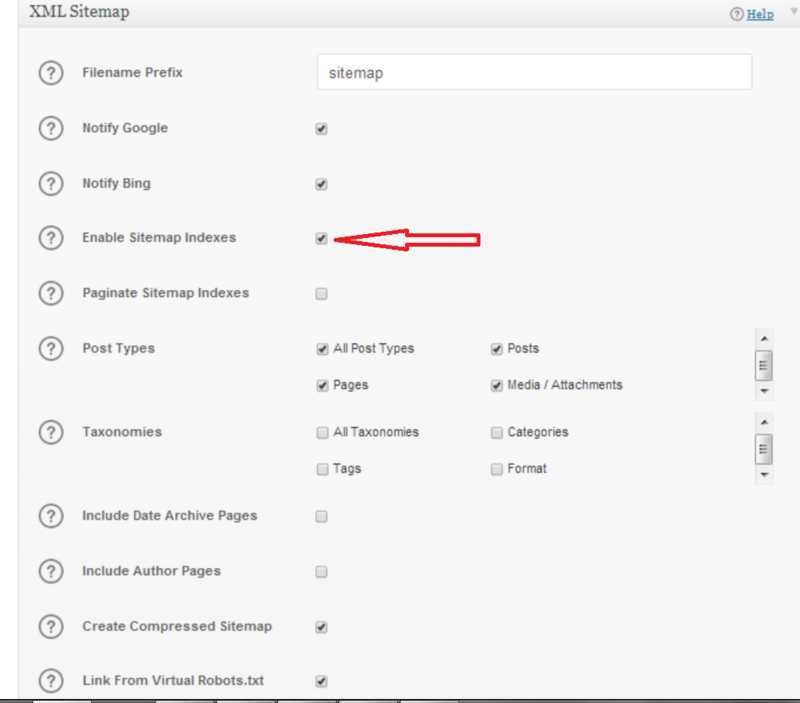 Enable Sitemap Indexes: Clicking this option will create the sitemap. Post Types: Enable all post types you want to index. Taxonomies: Disable this option to prevent duplicate content issues. 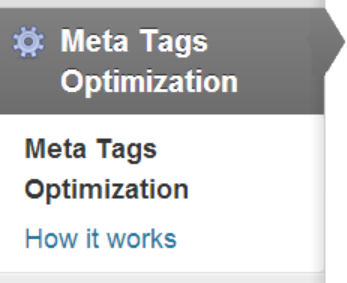 Meta Tags Optimization Plugin is a WordPress Plugin making WordPress SEO process easy. It helps to check meta title, meta keywords and meta description on posts and pages and allows to provide consultation with an SEO expert. In the new version, this Plugin is supported with Unlimited Custom Post Types. Meta tags are used by search engines for finding useful information on a website and the category in which it falls. So this Plugin helps to get desired titles, meta keywords and descriptions in your WordPress posts and pages. This is one of the most used SEO Plugins for SEO purpose. In a very short time, there are more than +25000 downloads for this Plugin. It helps to get optimized meta titles and descriptions. While entering inputs, the plugin lets you know if your meta tags are correct or not according to rules of major search engines. You have to put data according to guidelines. If the entered title and Meta tags are according to the optimization rules then it highlights them with green color. 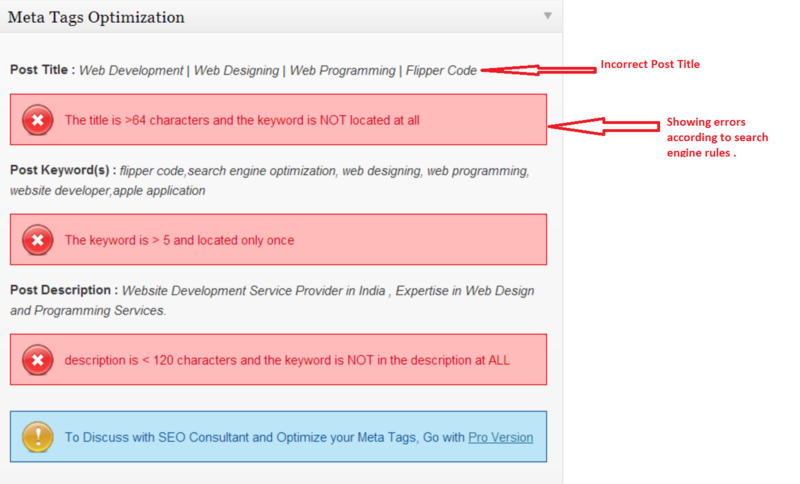 Whereas on not finding them according to the SEO rules it highlights the incorrect inputs with red. While in red highlight it also describes the errors. For example- If you do not enter the title tag as per the SEO guidelines, it will show error “The title is >64 characters and the keyword is NOT located at all”. Here we can see that entered data in the post title and meta tags is incorrect and thus it shows errors in red indicating the needed corrections. For instance, it is showing an error for keywords asking to limit them up to 5 so as to get the best SEO results. The title should be <=64 characters and the keyword located must be first in order. The keyword should be < 5 and placed only once. Descriptions must be < 120 characters with the keyword as the first word. The installation of Meta Tag Optimization Plugin relaxes you from worrying about the rules of creating optimized meta title and description tags.